Now that Halloween is over, it’s time to put away the spooky decorations and make room for the next fall holiday, Thanksgiving. So Allie Peach helped us “Get It Together” on 44News This Morning with a fun, thankful turkey craft for the kiddos. Print out the turkey parts coloring pages and instruct the child to color in the feathers, feet, and beak using their choice of colors. They can stick to traditional turkey/fall colors or get creative with whatever they want. On each of the five long feathers, write one thing your child is thankful for. Their answers can be heartwarming and sometimes hilarious! Make sure to write their answers toward the top of each feather so there’s room for glue on the bottom, where you’ll attach it to the jug. If you child is old enough to cut along the lines, have them cut out each turkey part. If not, you can do it for them. Attach the five long feathers to the handle side of the gallon jug using a little glue. Regular craft glue works for this, you’ll just have to hold each piece in place for a few seconds. Hot glue would also work, if you want a quicker craft. Attach the eyes, beak, and feet to the front of the jug, as shown. 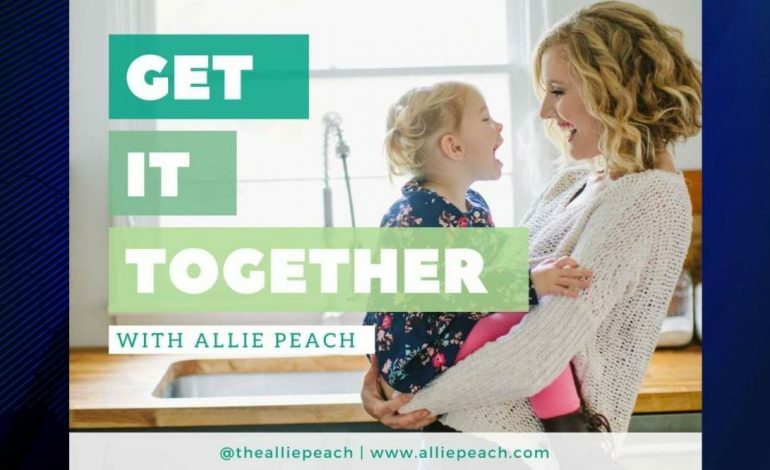 Allie joins 44News This Morning Anchor Veronica DeKett every Wednesday to help you “Get It Together.” Next week she will have tips to get your Thanksgiving bar cart ready for entertaining holiday guests.